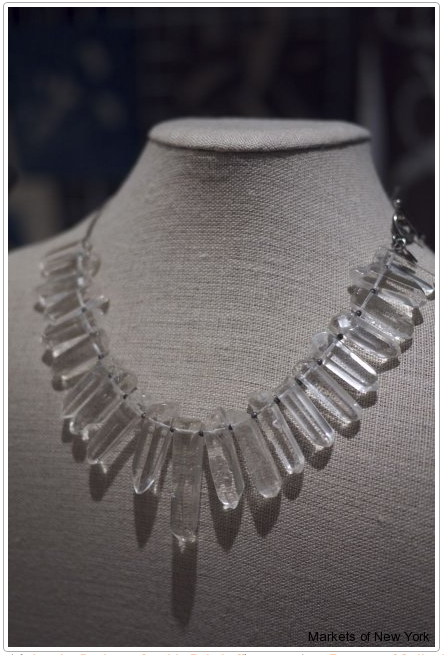 Artists and Fleas at Chelsea Market presents a curated showcase of designers and vintage collections, including Cynthia Rybakoff modern vintage jewelry, as part of New York Fall Fashion Week 2012 from September 4th-9th. The one week Fashion Week pop-up will bring new collections and new debuts from more than 30 designers from across the Artists and Fleas’ community. 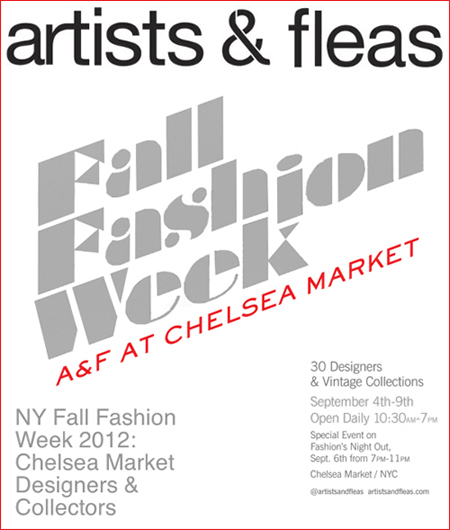 Artists and Fleas at Chelsea Market, 75 Ninth Avenue, located opposite Amy's Bread. I was recently featured in the Weekend Market Picks section of Karen Seiger's must read, everything you need to know about the New York City market scene blog, Markets of New York City. Read the article here. Then buy her official insiders book listing the best the Big Apple has to offer, simply entitled, Markets of New York City, a Guide to the Best Artisan, Farmer, Food and Flea Markets.